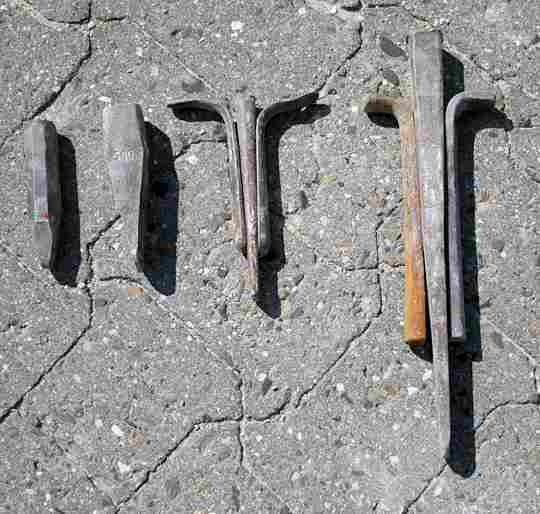 Tools for splitting stone. A series of holes are drilled along a line and iron feathers are inserted. 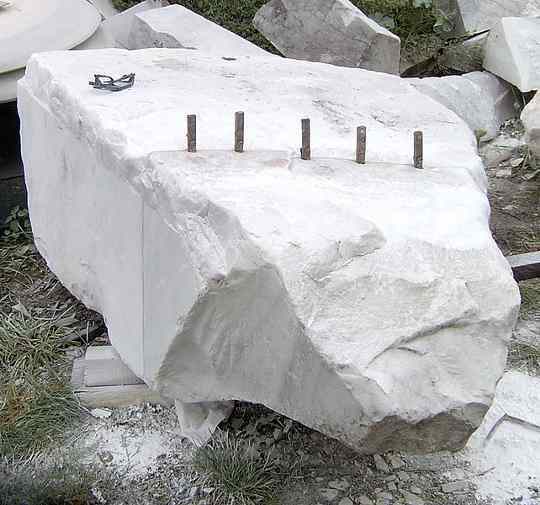 Then iron wedges are driven between them splitting the rock along the line. Also called plugs and feathers. The feathers are also tapered half the taper of the wedge and they work in unison with the wedges to provide a splitting force to the rock. The fact that the wedges and feathers are made of iron or steel make them slide easily together also. At the side here is a sketch that I have borrowed from the formwork section. 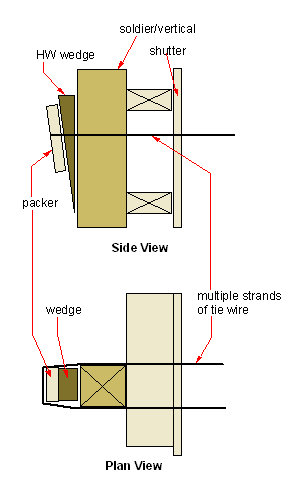 In my early days before formwork systems were readily available we used multiple strands of tie wire to hold the wall form together and we tightened them with wooden wedges. The wedge alone just would not do the job, the wire bit into the wedge. The addition of the packer piece made the whole process simple. For more on wedges have a look at my section on fox wedges.